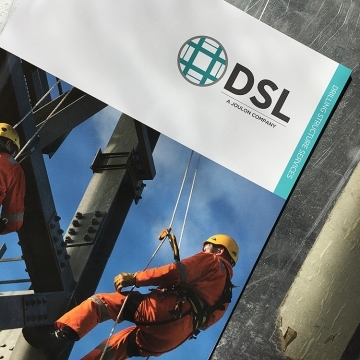 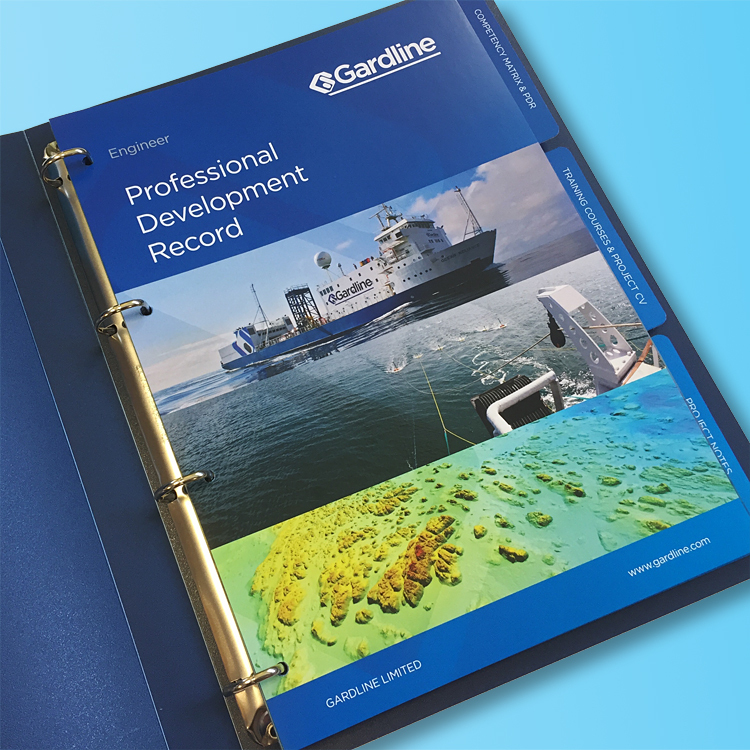 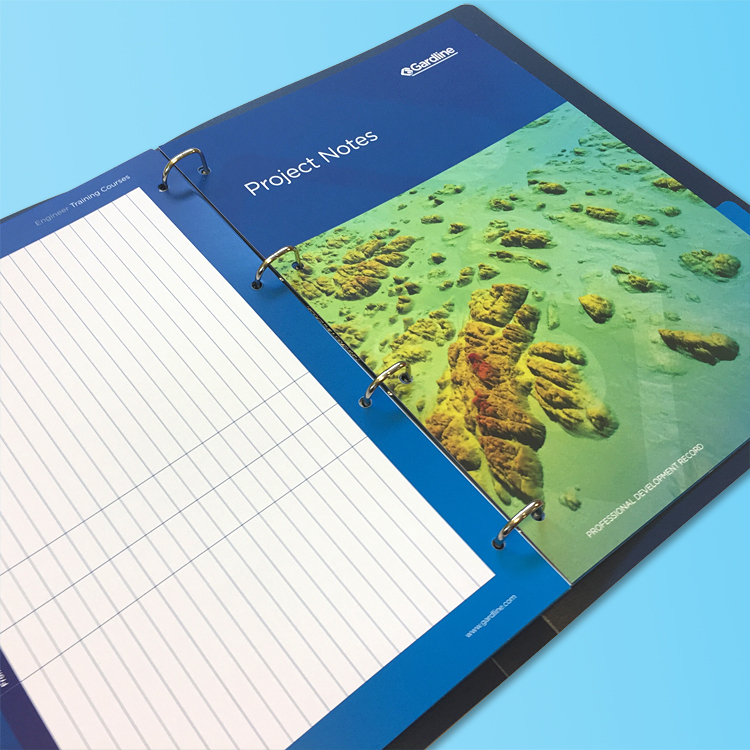 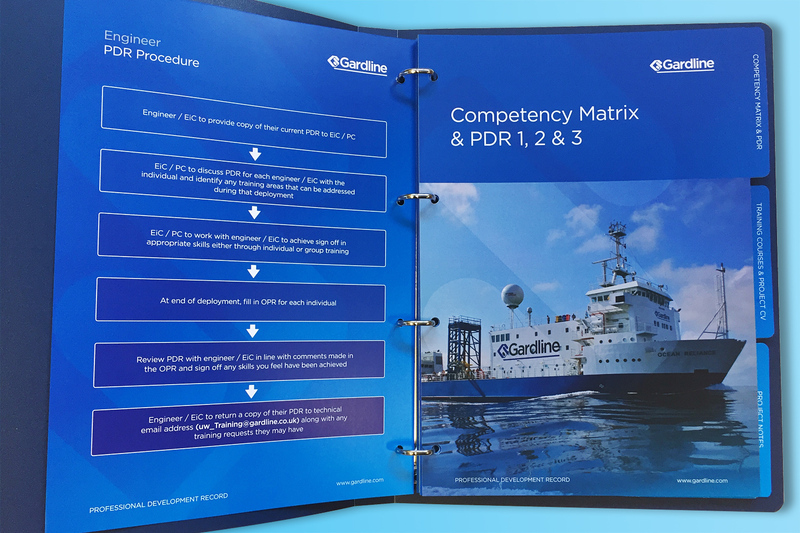 Local marine service company, Gardline approached us with a need to design and produce bespoke Professional Development Records for their Surveyors and Engineers. 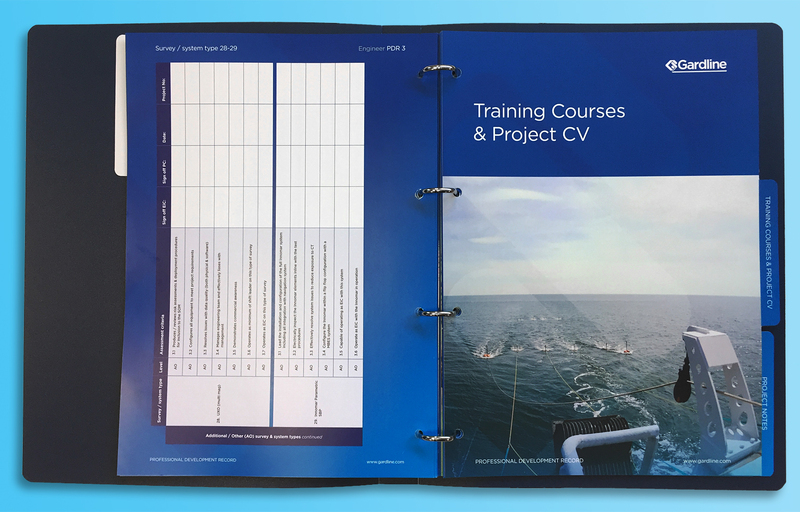 To ensure longevity of the documents we opted for branded polypropylene folders, designing dividers and insert pages covering all aspects of personal development from training to certifications. 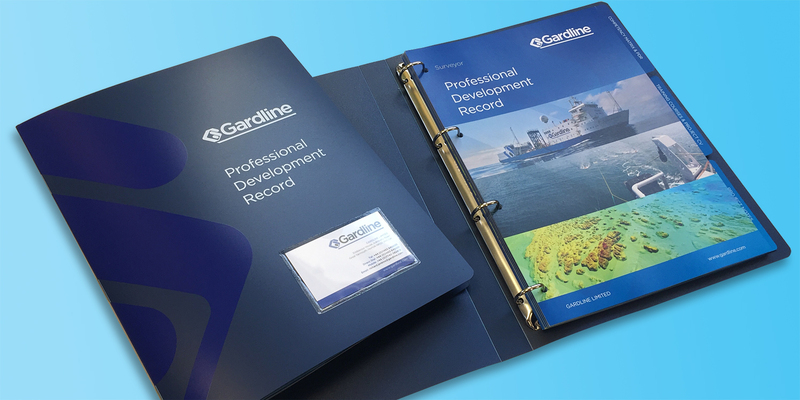 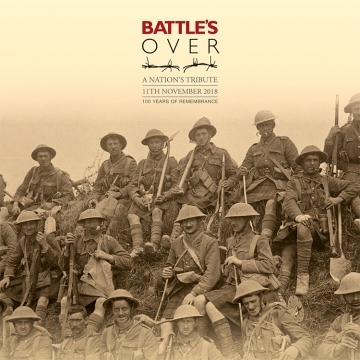 The Professional Development Records are now utilised by their offshore personnel and help instil pride.